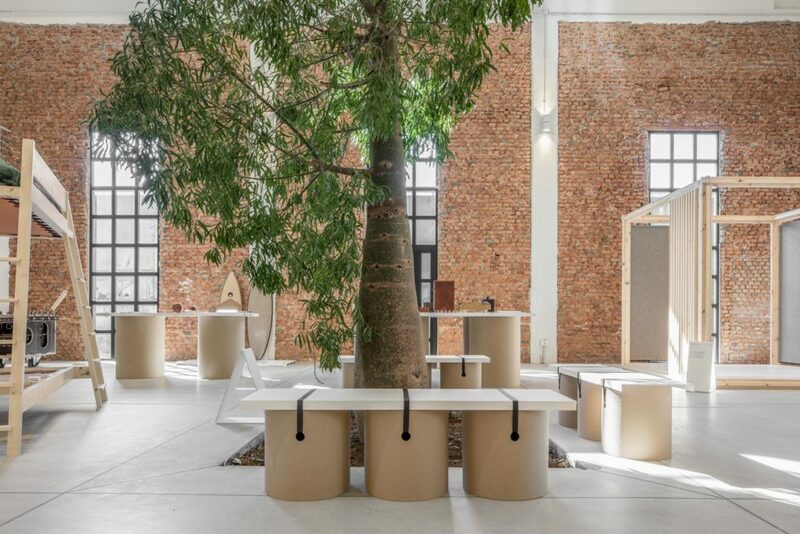 Scenography of the exhibition Generous Nature designed in collaboration with La Fabrika Studio. 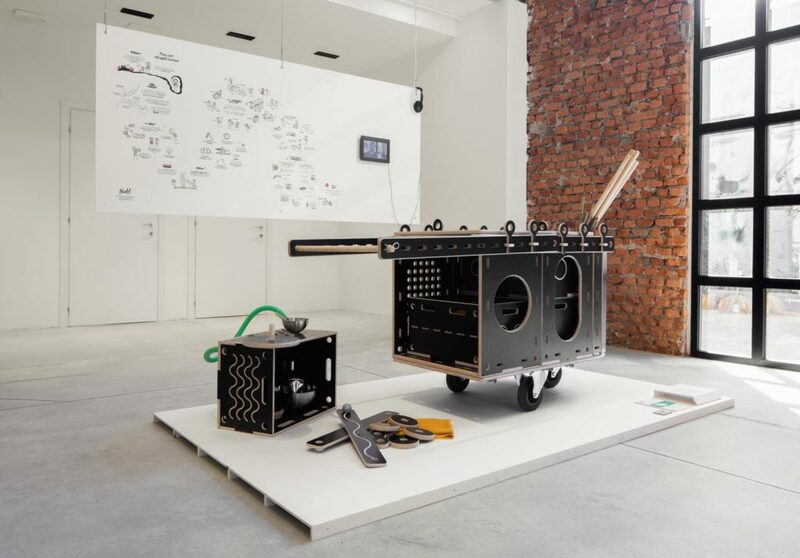 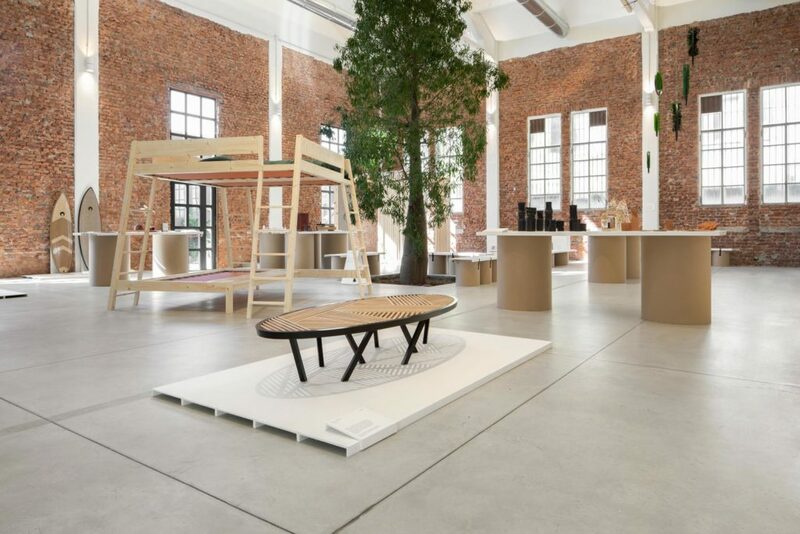 The exhibition highlights a basic issue: the ability for design and designers to make a major change in industrial production, opting for sustainable systems that go beyond the simple product and that aspire to a wider project that transcends mere environmental awareness and that includes politics, the economy, regulations, behaviour and social and human relations that are the foundation of design culture. 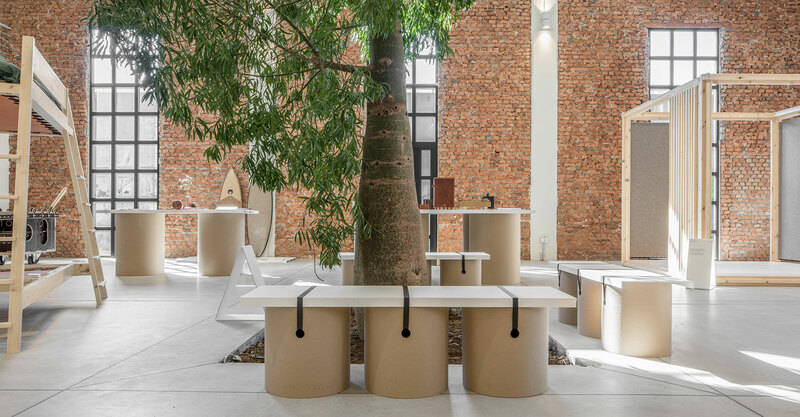 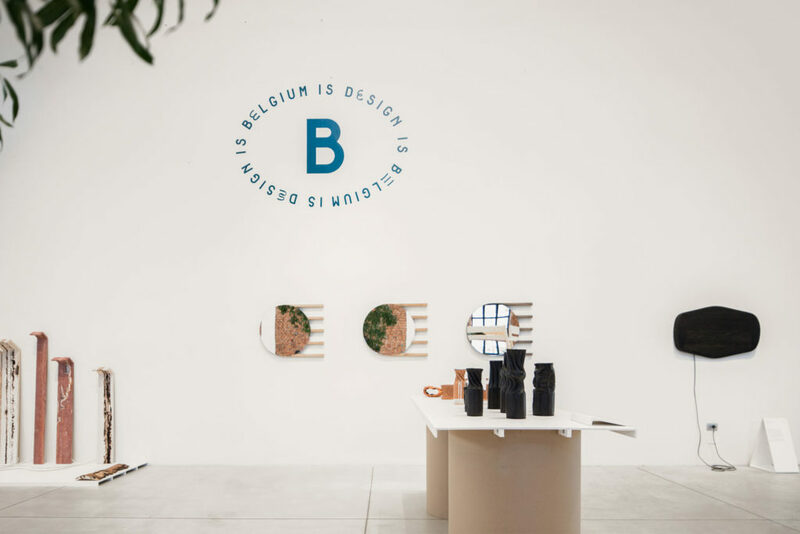 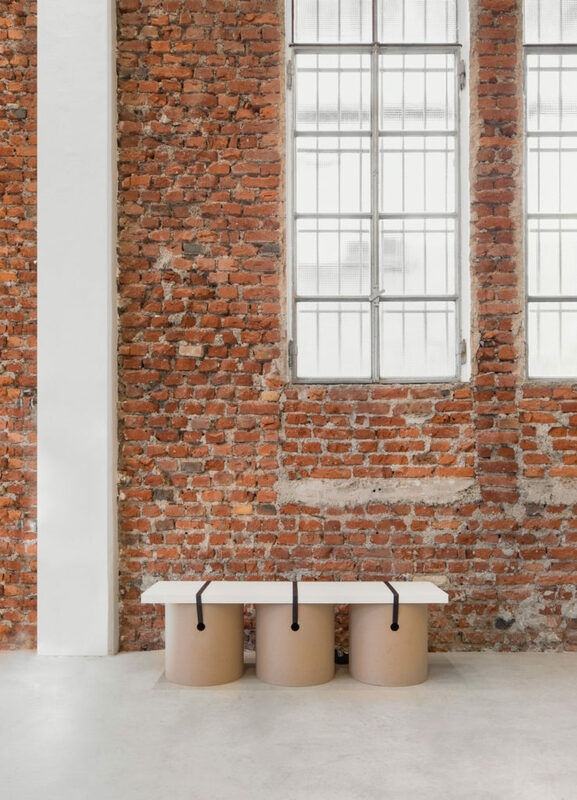 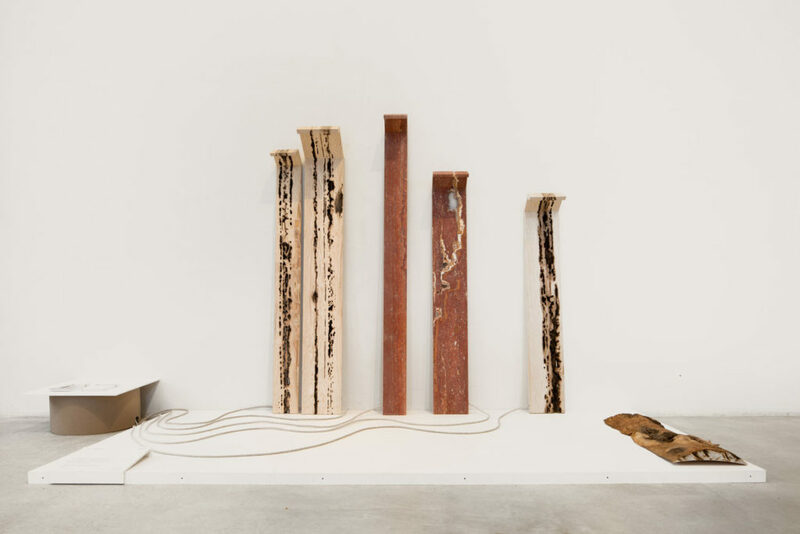 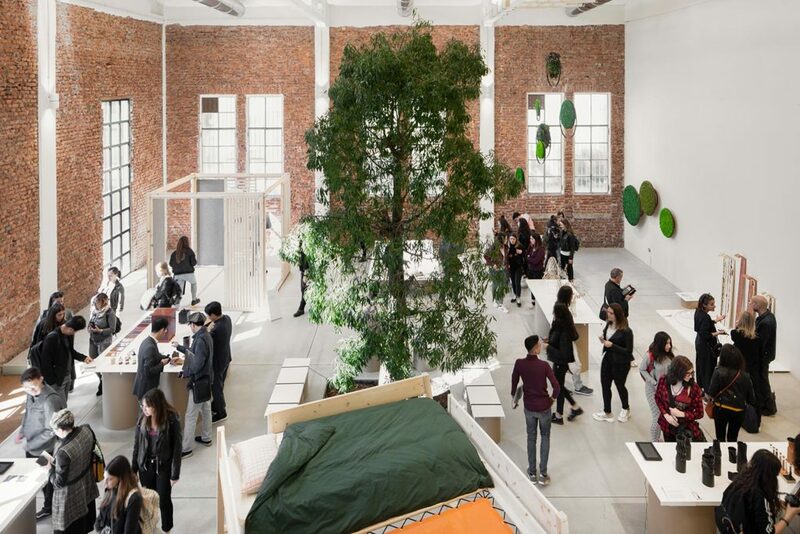 Generous Nature is an initiative by Flanders District of Creativity (Flanders DC), MAD – Brussels Fashion and Design Platform and Wallonie-Bruxelles Design Mode (WBDM) for Belgium is design. 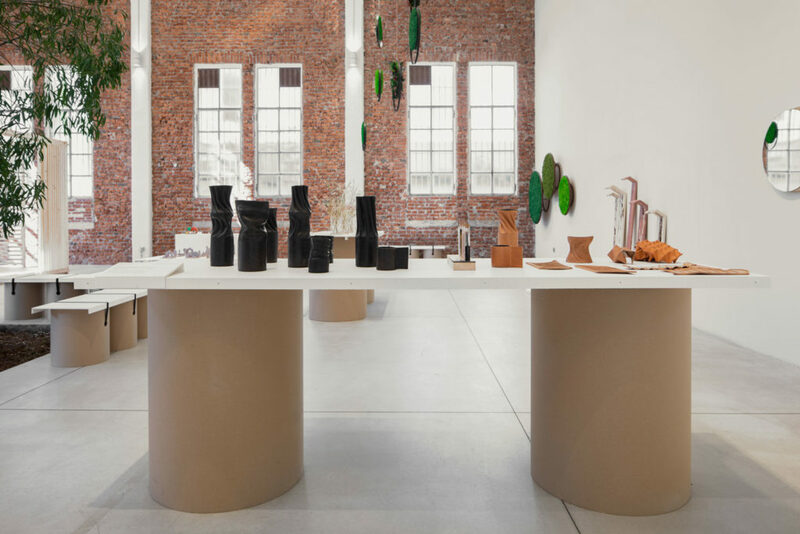 The displays are made from Really solid textile board from KVADRAT and cardboard tubes.